British Airways First Class may not be aspirational, but it's practical for many needing to travel between the U.S. and London, given the number of flights British Airways operates from U.S. gateway cities and the fact that there are 14 seats, a large number for a first class cabin. With night flights, most passengers, myself included, want to get to sleep as soon as possible. 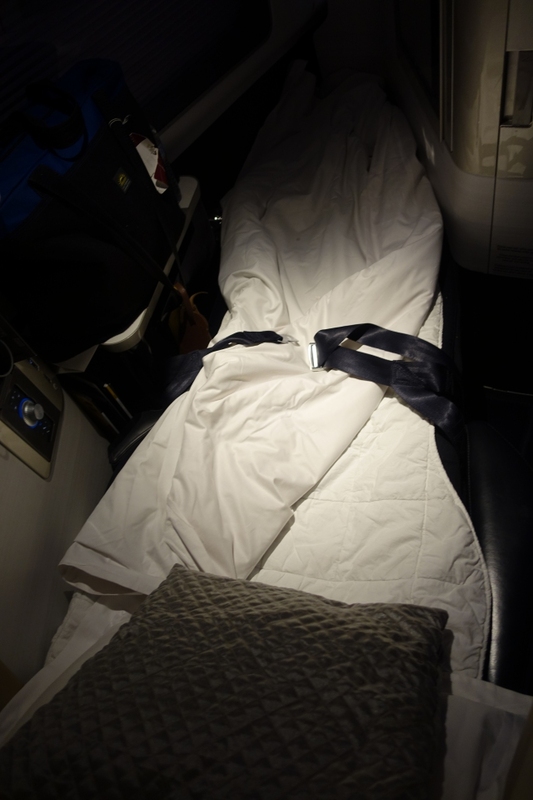 I appreciated that on my recent British Airways First Class flight the flight crew jumped into action and made up beds very quickly for all passengers who requested this. There’s no question that there are much better quality first class flight experiences than British Airways First Class, which has been called “the best business class product” (although I’d argue even this is incorrect, at least from the bed standpoint, since I find JAL Business Class with its special memory foam like mattress pad much more comfortable). But one thing I appreciate is that periodically it’s possible to book British Airways First Class at very attractive airfares, especially if you’re an AARP member (anyone can join, not just seniors) to get $400 off the fare. My recent roundtrip from New York JFK to Paris was booked for about $2100 roundtrip. That's quite decent even for business class, let alone first class. As far as I know, only Qantas lets you pre-arrange a spa treatment, and only the day or so before; with British Airways it's possible 28 days in advance. Unfortunately, that cuts both ways; if you suddenly decide a few days before your flight from London Heathrow that you want a spa treatment, there may not be any spots left. 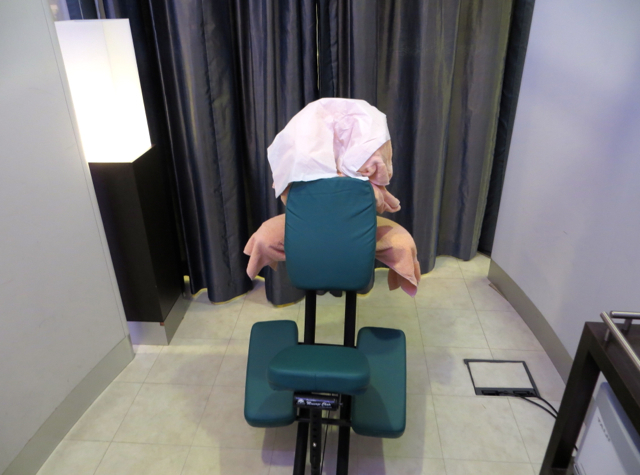 Plus, to be honest, the one time I did have an Elemis spa treatment at the Concorde Room in London, it was excruciating; the treatment was painful and the therapist insisted that she could not vary the pressure to make it less painful (!) because “that was the way it was done.” Okay then. I've found on some flights the cabin is just too warm to sleep properly. While I didn't sleep well on my recent flight, the temperature was cool enough to be conducive to sleeping. I know, this is purely cosmetic and doesn't matter, but I do like the way the British Airways first class window shade looks. With 14 seats, the first class cabin is simply too crowded, particularly when full, as my night flight was. Similar to Cathay Pacific and some other airlines, British Airways still has not installed WiFi on any of its planes. They've signed a contract with Gogo to install WiFi, with the first WiFi-equipped plane expected early next year, but it won't be fleet-wide until sometime in 2019–so there's still a long time to wait. First off, the British Airways First Class seat and bed is too narrow, at only 22 inches wide. That's even narrower than Emirates A380 First Class, which I also consider narrow for a first class seat / bed, at just 23 inches. Secondely, although perhaps I'm one of the few annoyed by this, I dislike ostensibly fully flat bed seats where the head part of the bed does not quite go fully flat, because I don't like to have my head raised like that when sleeping. I also find the mattress too thin, so I end up using the duvet as extra cushioning. While in the past I've had good pre-flight dinners in the New York JFK Concorde Room, this most recent time was quite lackluster: my beef shortrib was pretty tasteless and served room temperature instead of being hot, the butternut squash soup was on the thin side and not that flavorful either, and the supposed Basil ice cream that accompanied the dessert didn't taste of basil at all. 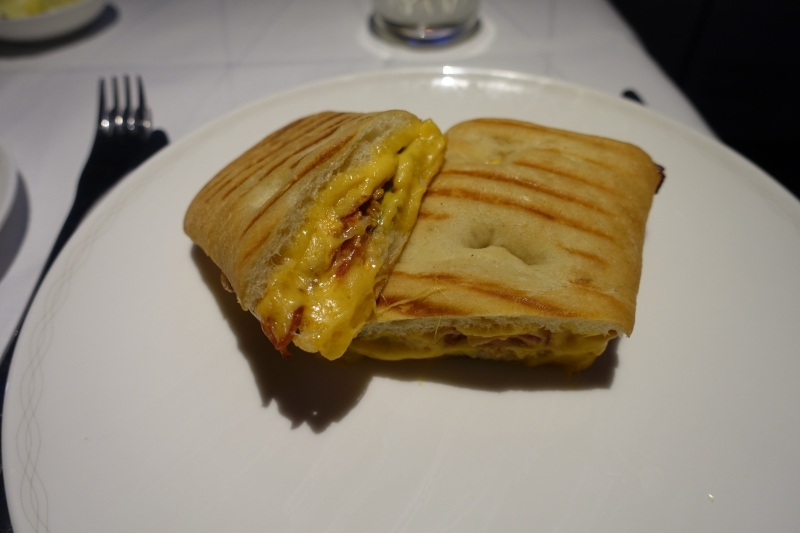 On board, I was disappointed by the Passion Fruit Hazelnut Tart dessert, as well as by the egg breakfast sandwich. The yogurt was the best thing I ate, and it was packaged. Yes, I know British Airways isn't an Aman Resort, but unfortunately even against peer airlines' first class offerings it doesn't compare well, based on my experiences. If there was a purser, s/he never came by to introduce himself/herself to me, which is typical for most international airlines in first class. I had to ask for slippers, they weren't proactively offered to me. After requesting several items for breakfast, I was initially brought an incorrect main dish, and two other things I requested weren't brought at all. When I finally went back to request them, I was met with a curt “We're getting ready for landing,” although when I explained that these weren't new requests, I was merely following up on already placed requests, I was grudgingly brought them. 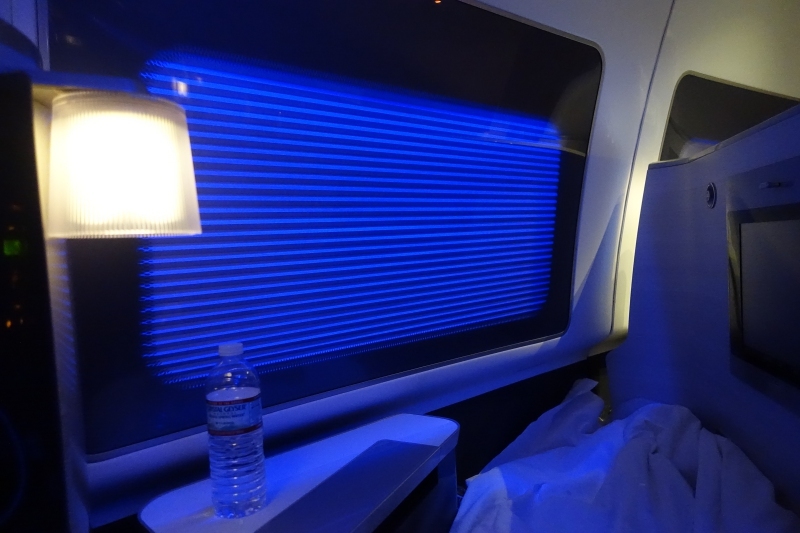 What are your favorite and least favorite aspects of British Airways First Class? British Airways Devaluation: Bye Bye 4500 Avios Awards in U.S.